Pork is a very important part of any commercial kitchen. Whether you’re seeking fresh pork, frozen pork, ham, bacon, or sausage, we will be happy to assist you in choosing the right cuts and brands of pork to suit your needs. Our goal is to allow you the opportunity to provide your customers with consistent quality meat and to keep them coming back for more. Pork can be marinated in so many ways to complement dishes and menus of any caliber. 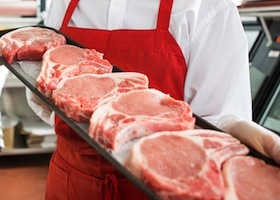 If you’re looking for the best cuts of pork, we carry only the most reputable brands, brought fresh to your kitchen. 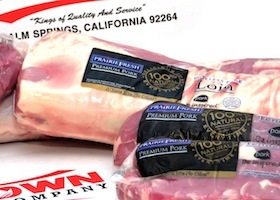 Pork is a meat that is predominant among many of our favorite southern California kitchens.  Do you have a high volume of customers? You may require a selection of frozen pork to ensure your kitchen staff is prepared. 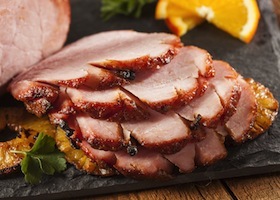 Ham can complement dishes ranging from traditional holiday to smoked gourmet. If you’re seeking the right brand of ham to complement your culinary style, we’ve got a great selection from which you can choose. Bacon is a staple of the American breakfast and many gourmet dishes. 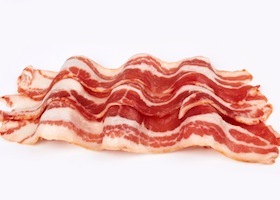 Ensure happy customers with our great selection of bacon. The consistency of our product will allow consistent excellence in your kitchen. 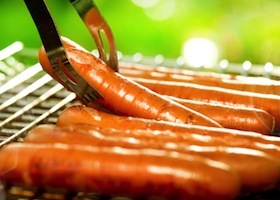 Sausage adds a fantastic notable flavor to any dish, making it a principal ingredient in many of our clients’ menus. If you’re seeking the right sausage for your kitchen, allow our experts to help you choose.